From this point on, everything starts at 10am starting with Dealers Hall and Artists Alley followed by basically everything else. I keep saying that we had a 98 count of Nature Valley, and this was going all the way back to when we first bought the box at Costco back on Thursday. It was until Monday when I realized that it was 98 bars, not 98 packages. 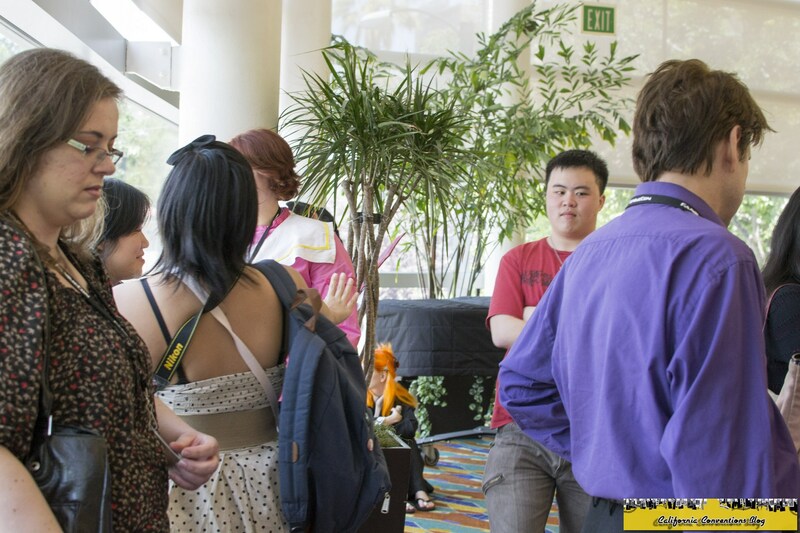 People gathering in the lobby on Saturday morning. 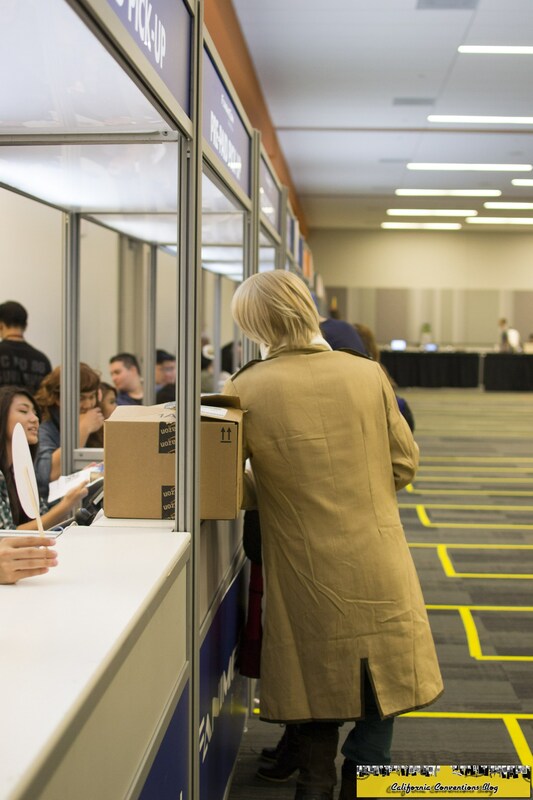 It took less than a minute, and I could easily see how this system greatly benefited this convention. 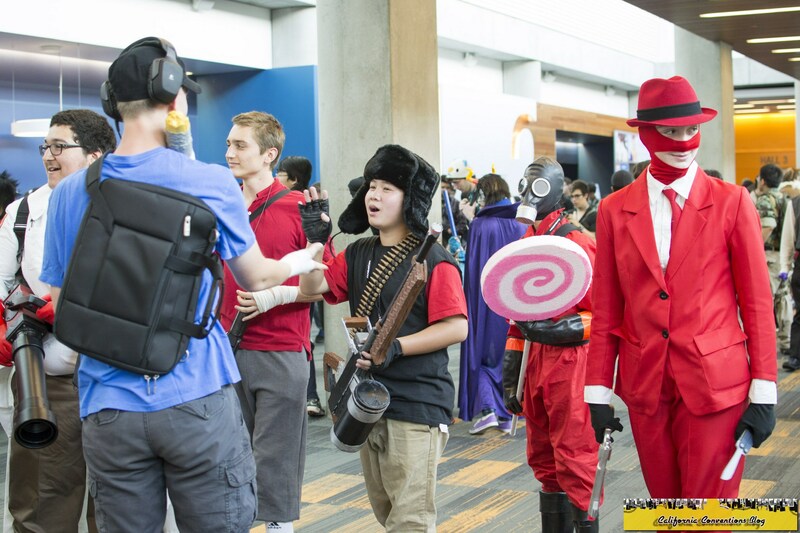 Team Fortress 2 cosplay. Seems a bit lopsided to see one Blue and the rest Red. People filing into Dealers Hall as the room opened. 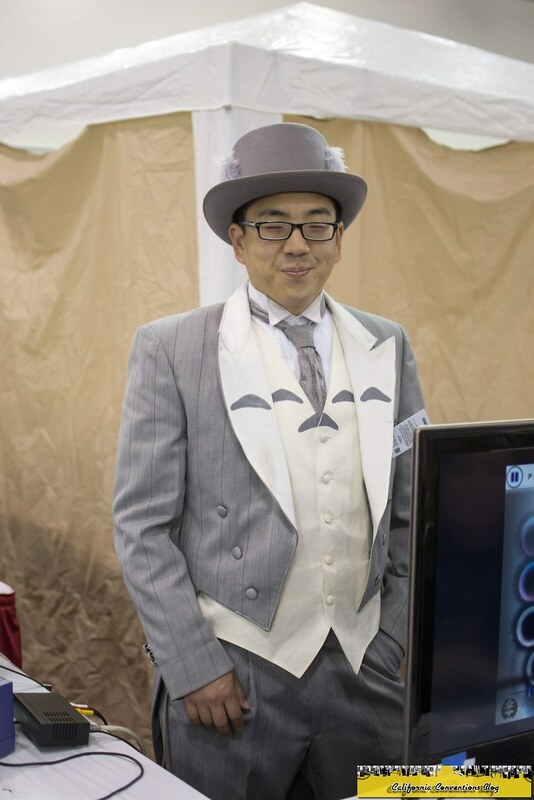 Craig's Tux!Totoro, which I got see in person for the first time. 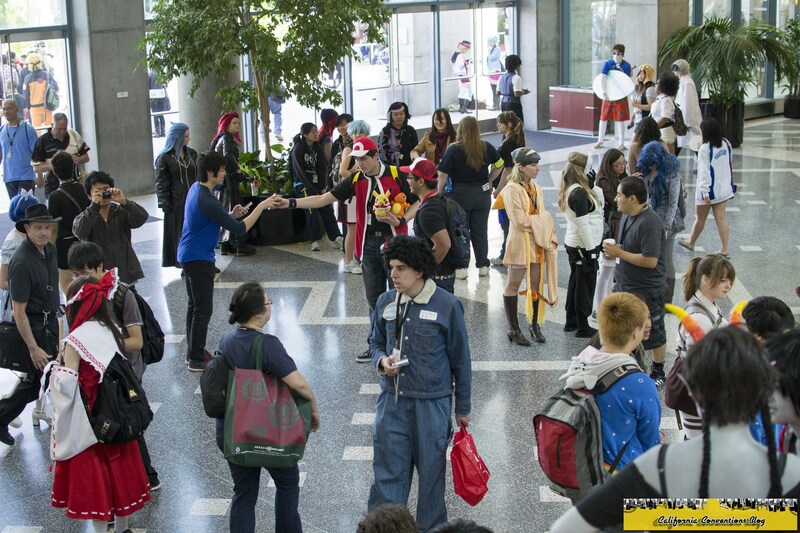 The size of the first day of the All Cosplayers Gathering in the background. 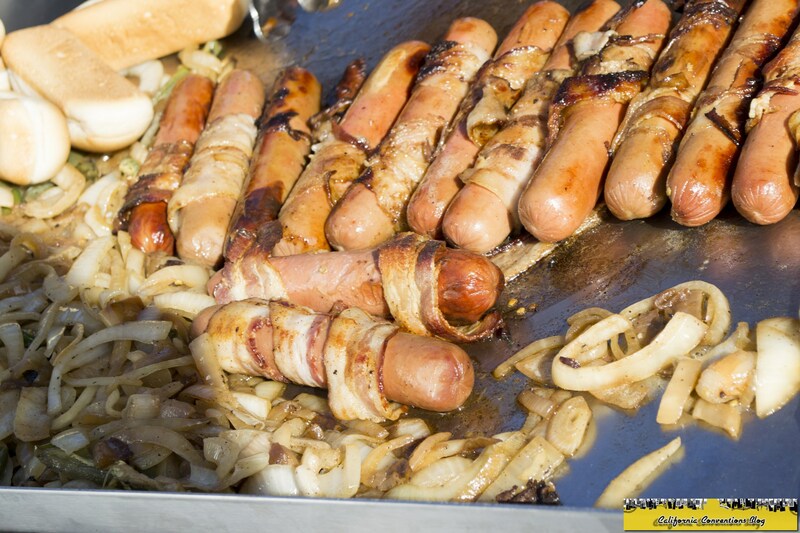 Back upstairs, I enjoyed lunch while watching the UEFA Champions League Final in my room. 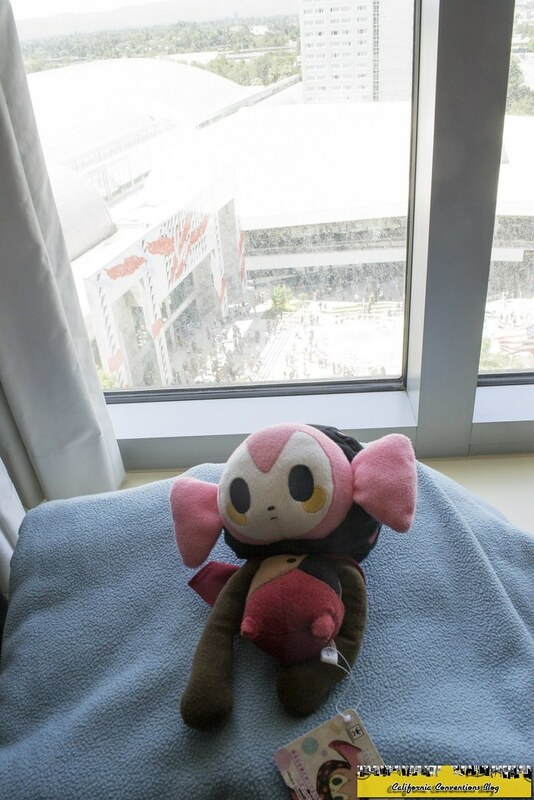 Nate's Bebe plush that he bought at Otakon Vegas. As I made my way back downstairs, I noticed that there was a long line near the Saloon Rooms. I thought it was for autographs, but then I found out that it was for Speed Dating. Yes, a line for Speed Dating. 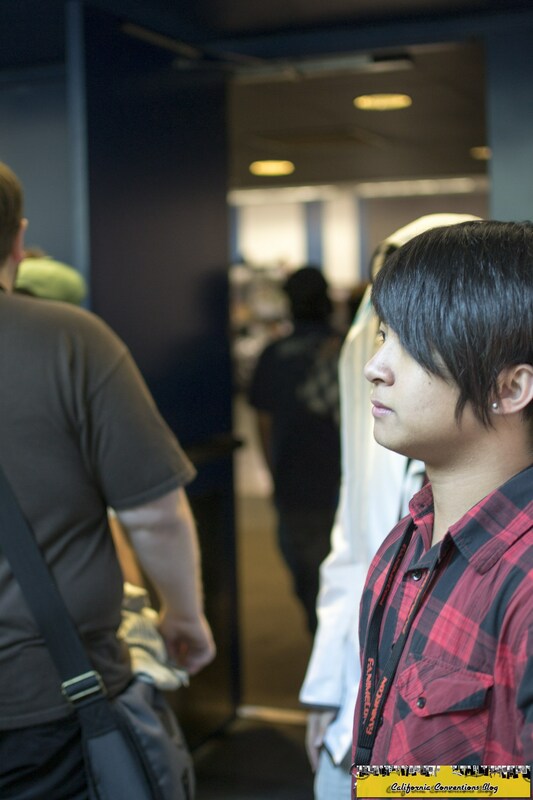 People waiting in line for Speed Dating's first session to open up. 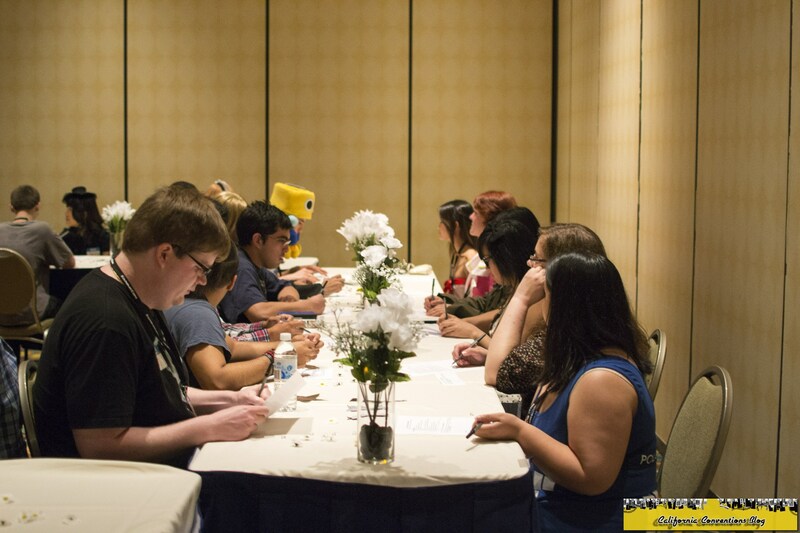 I was shocked to see how intricate the effort put into Speed Dating on par with an actual real thing and not just a "geek/anime fan match making" session. Inside, I had a glimpse into how the session worked, which again was on par with the real thing complete with clock and the setting. The interviewing captured at its finest moment. 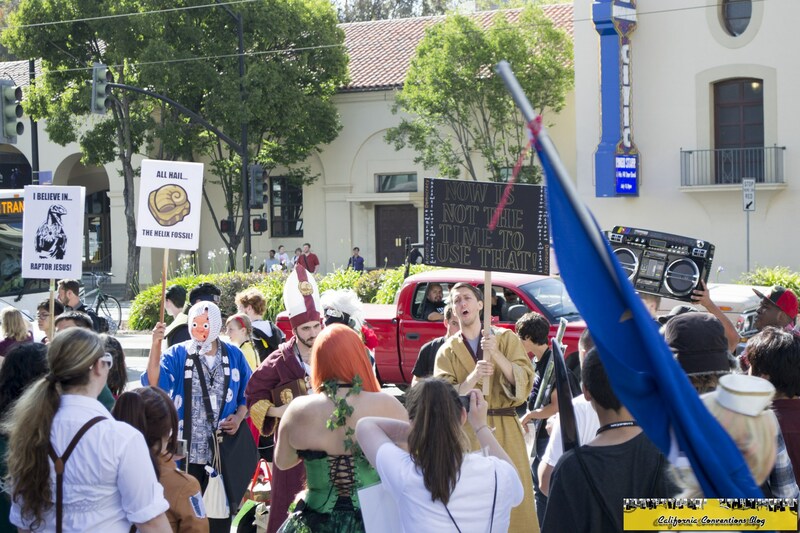 By then it was time for me to focus on one of the major events besides Music Fest - running the SMT/Persona Gathering. This time around, I was organizing both the "Daytime" and the "Midnight" Gathering while G and his partner Linefaced were oraganizing the King's Game. Usually this is held at the Midnight Gathering but to allow the participants to have more open space and to be more wacky and crazy, it was organized into a fan panel...which happened to be at 8pm at the Fairmont and not at Midnight. Scheduling conflicts were arising with my plans to cover Music Fest, but from what I heard it went off without a hitch. But for now, it was me in front of the cosplayers for an hour which can be documented in this two minute time lapse video. With that out the way, I ditched Arena!Junpei until the Midnight Gathering in favor of clothing that suited me better for Music Fest - which happens to be the one item that I've been wishing to buy: a FanimeCon polo. I took another browse at Dealers Hall and AA. The polo (and the eventual matching hat) were the only two "merchandise" items that I bought at con. I spent the rest of the money on the chibi badge commission, a couple of Madoka and iDOLM@STER pins, and two Hatsune Miku vinyls that are on the back of my Toyota Corolla. The merchandise for the Live Charity Auction on display. 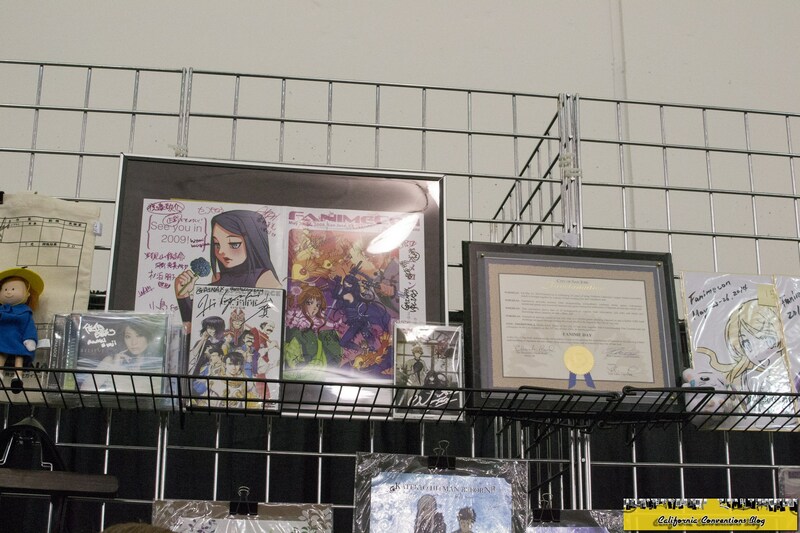 No, the proclamation of Fanime Day is not for sale; that's what I thought too. With Music Fest in near hours, I took it outside to take some shots of the downtown area crawling with attendees. 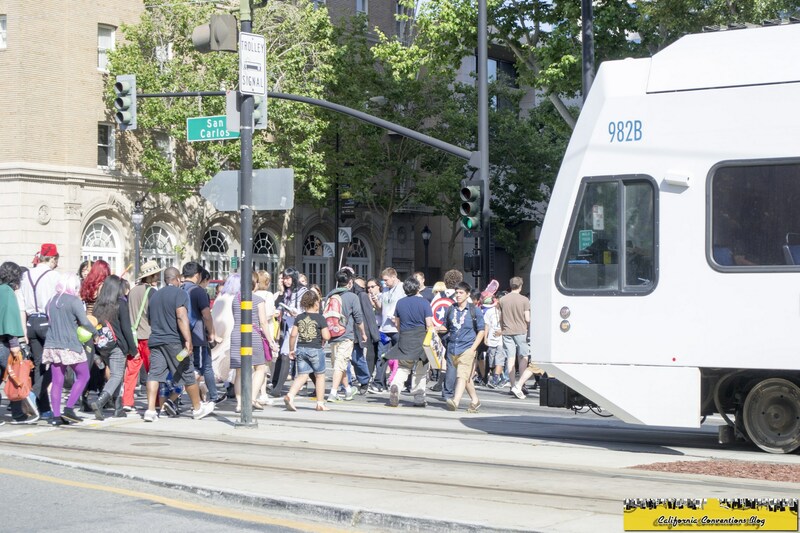 A VTA trolley stopped as attendees cross East San Carlos. 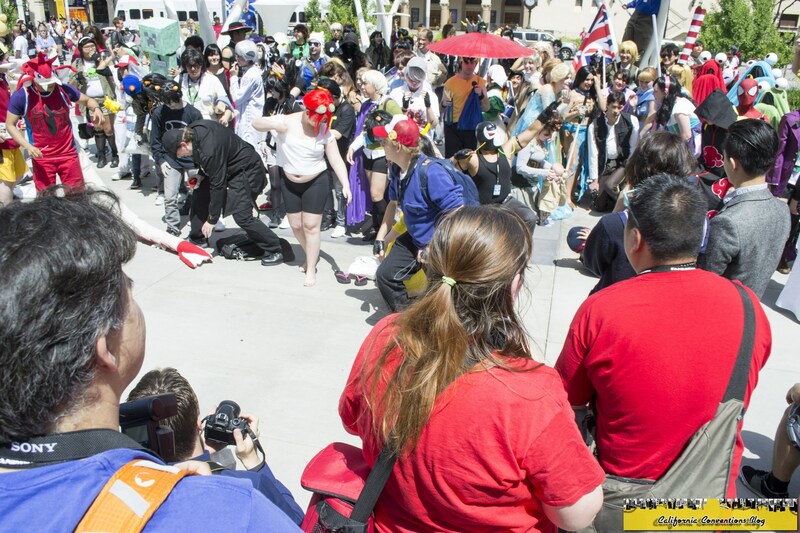 Twitch Plays Pokemon versus the annual protestors. You can probably guess who won. 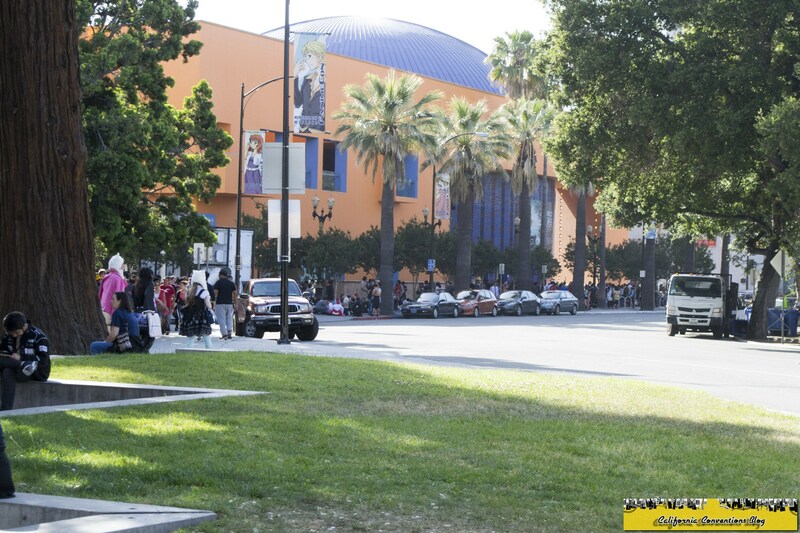 The line starting to wrap around the Tech Museum for Music Fest.